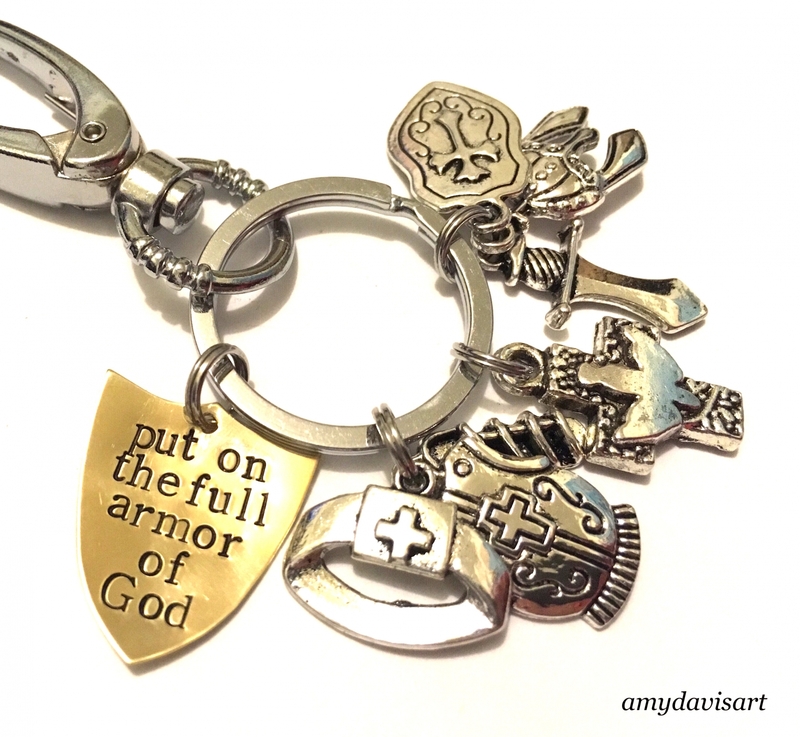 I made this Christian keychain for those who want to carry a reminder to put on the full armor of God with them daily. 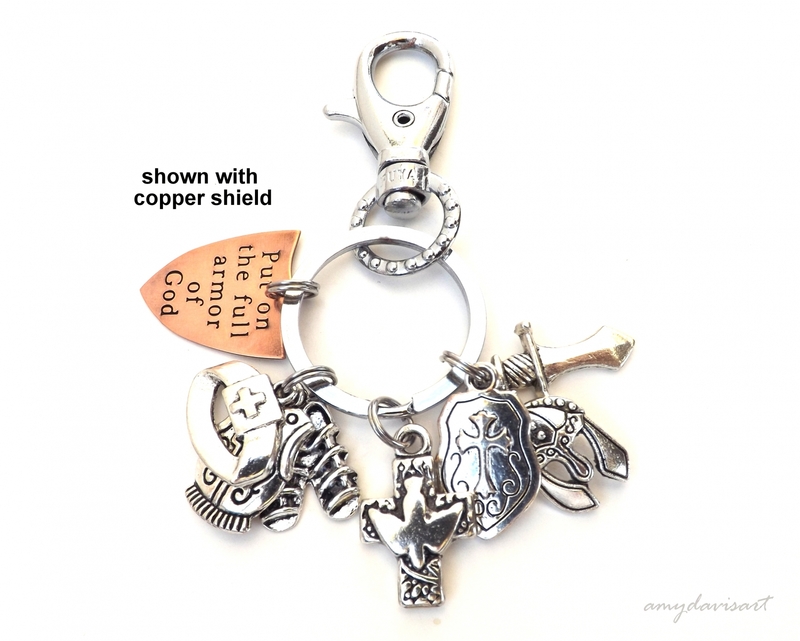 This Bible verse key ring is a wonderful way to visually represent God's spiritual armor! 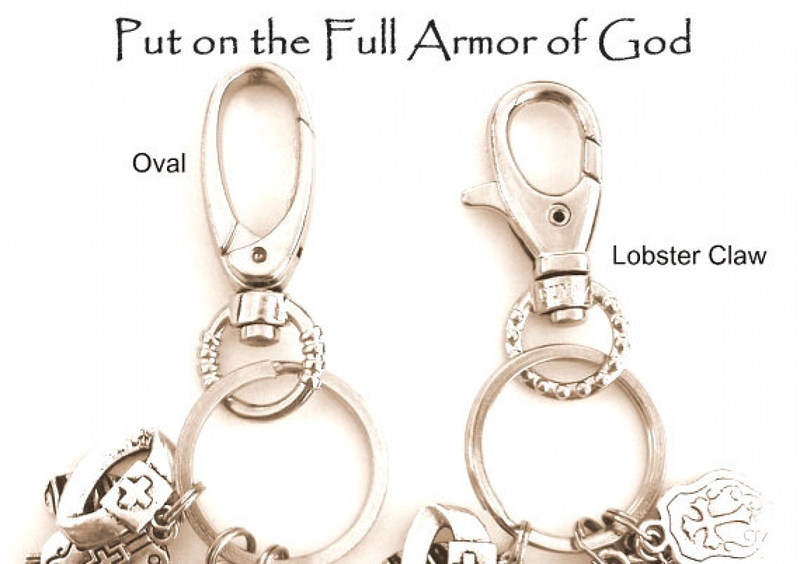 It can also be used as a zipper pull or purse charm - I like to attach an Armor of God keychain to my purse. “Finally, be strong in the Lord and in the strength of His might. Put on the full armor of God, so that you will be able to stand firm against the schemes of the devil. For our struggle is not against flesh and blood, but against the rulers, against the powers, against the world forces of this darkness, against the spiritual forces of wickedness in the heavenly places. Therefore, take up the full armor of God, so that you will be able to resist in the evil day, and having done everything, to stand firm. Stand firm therefore, having girded your loins with truth, and having put on the breastplate of righteousness, and having shod your feet with the preparation of the gospel of peace; in addition to all, taking up the shield of faith with which you will be able to extinguish all the flaming arrows of the evil one. And take the helmet of salvation, and the sword of the Spirit, which is the word of God. 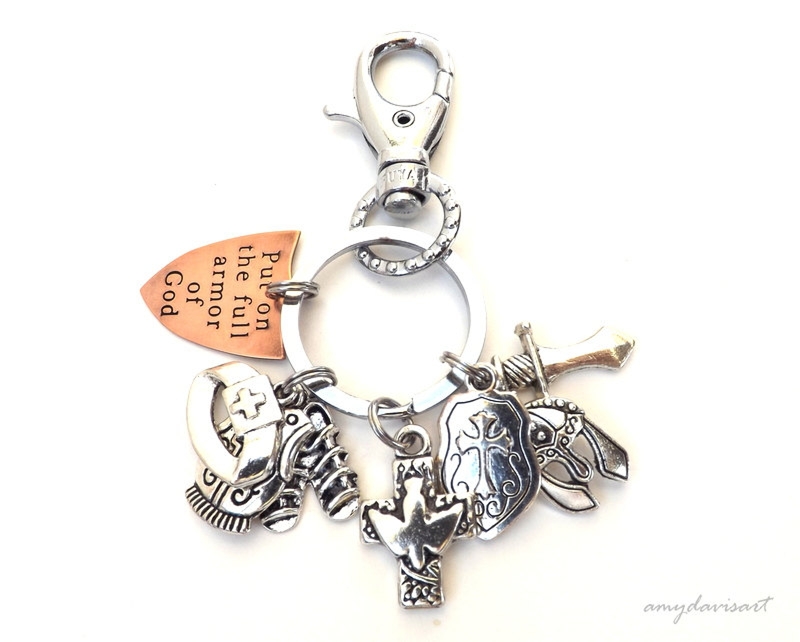 - Made with all six pieces of the spiritual armor represented as charms and in Biblical order; each charm is hand-dipped in a special coating to protect and enhance. 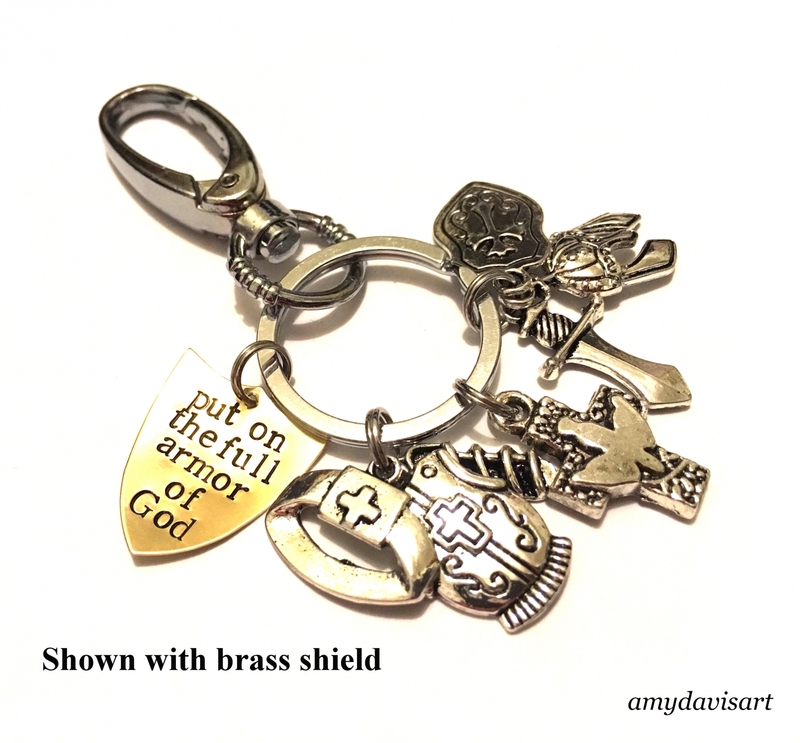 - Comes with a hand-stamped shield in your choice of brass or copper (as seen in the photos); the shield is stamped with "put on the full armor of God"
- Each keychain comes nicely packaged in an organza pouch with an Ephesians 6 scripture card. 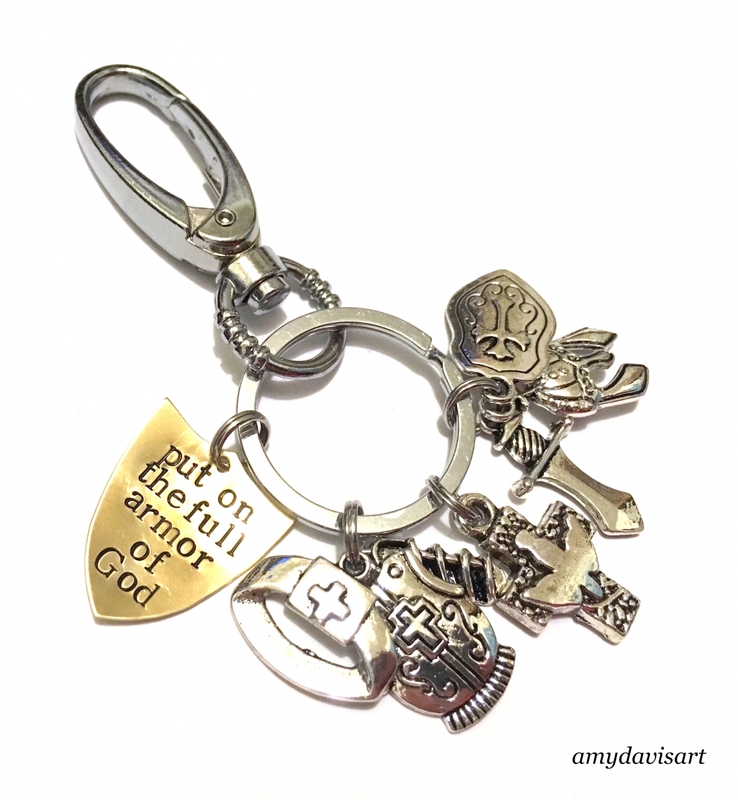 This Christian keychain makes a unique gift for those facing trials and challenges and is useful for small groups, Bible Study groups, those doing Armor of God studies in Ephesians 6 - what a wonderful way to encourage someone in their faith-walk! Handmade with love, care and prayer. Please let me know if you have any questions, I am happy to help!